A tremendous explosion started the expansion of the universe and the explosion is known as the Big Bang. Stepping into their seventh year of debut, Big Bang has now created a distinguishable territory in the K-pop scene. The group has differentiated its music from any other K-pop and pop idols’ by quickly reacting to the global music trend without losing their unique color. To announce their songs — which bloomed in the middle of all the hardships they’ve been going through — to the world, the boys performed three songs in just one show, each performing with a different concept. They also made the live show available online in high-definition. 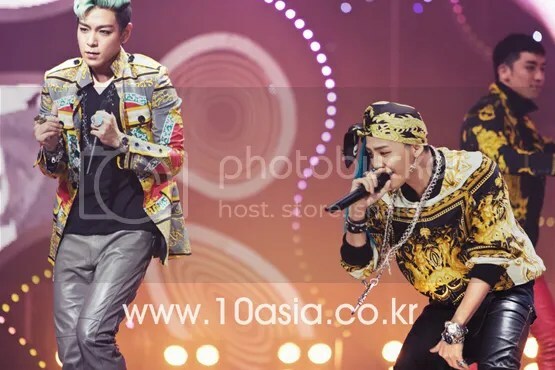 The boys’ ensuing step that avoids being conventional and abiding by the rules were shocking from time to time, but the shock has always left something new after that ‘explosion.’ Interviewing the team’s leader G-Dragon provided 10Asia a chance to discover what leads the team to create that shock and excitement in the global music landscape. The musician, who says that he devoted all his time to planning and preparing for coming albums while leaving everything up to his fans’ expectations, does not get excited by immediate gains and success. For that reason, it is exciting enough to picture what he has in mind for the next Big Bang. As a leader and producer in the team, you must have a special attachment to the latest release. How do you feel about wrapping up the album’s local promotion? G-Dragon: It was short but deep. Before thinking about what others have to say about this album, I want to call this the new Golden Age of Big Bang. G-Dragon: I’m extremely satisfied with this album. Though the time we had to promote the release was pretty short, I think we’ve showed enough without any regret. Since we have the members’ solo albums coming up this year, I think we could keep up this spirit. This year has been a juncture for Big Bang to get rid of the image you guys had from performing “Liar.” This also means that you guys must have gone through a certain level of adventure to create something new. Songs like “BAD BOY” and “BLUE” were totally different from other K-pop idols’ music. It didn’t have group chorus or exactly divide the members’ parts to sing. 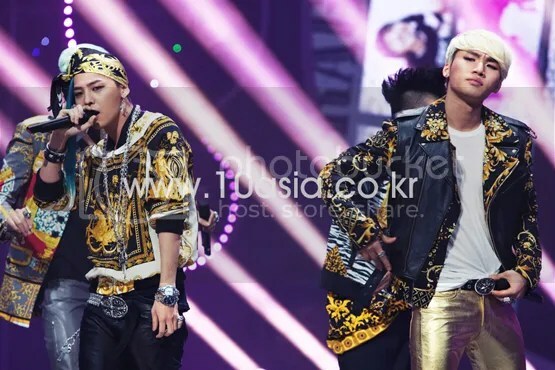 G-Dragon: Our company’s C.E.O was not able to call these two songs as our title tracks till the last moment. Rap songs with a slow tempo like “BAD BOY” is not so popular with people and “BLUE” was more like an extended version of “Love Song” from last year’s special edition album. But we made these two great tracks because we thought it was about time to show the real Big Bang music. And for some reason, it just kind of matched with our situation. If we released the record before going through a lot of troubles last year, or far after the incidents, I don’t think we would’ve been able to put ourselves in the music. G-Dragon: What our C.E.O wanted from us more than anything else, was to make a dance number since we didn’t have any dance tunes after “Last Farewell” from the second mini-album. While working with Teddy to make a fast beat song, we decided to come up with a beat that most people are unfamiliar with. We gave a little twist to the song by doing things like speeding up the tempo unexpectedly. While a slew of K-pop artists are doing electronica music these days, I made the song to start with just my voice singing in order to distinguish it from other electronica music being produced in the country. We needed to show what’s real. It had to sound like a unique arrangement and unforgettable for anyone who listens so we just mixed our talents. The overall album is a good combination of each member’s talents. G-Dragon: Before releasing “ALIVE,” our C.E.O asked us a question half in jest, saying, ‘Big Bang has a huge name value. But do you think the inner qualities are as good as the group’s image?” I was pressured to receive that question and had to partly agree to his thought that we had to try harder. 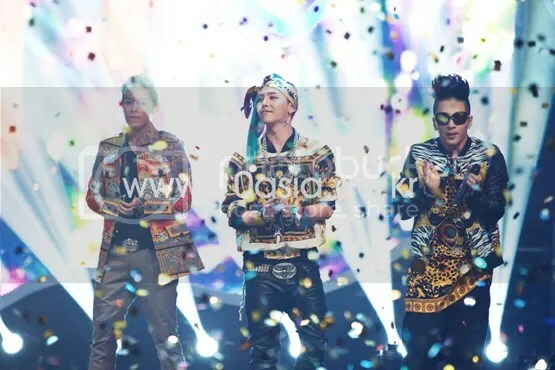 We’re trendy and we have musical talents but something was always missing, which was Big Bang’s image and color. When dropping the album, I wanted to lead people’s emotion rather than to receive favorable reviews from critics. We wanted people to have exclamation marks instead of question marks when listening to our music. So the unexpected reaction towards “BLUE” was more encouraging, huh? The song’s tempo descends at the latter part of the song but it has enthralled people. G-Dragon: I think the pains I had were expressed well through the track. I was literally ‘blue’ when working on “BLUE” so I had extra concern in writing the lyrics. For a while we’ve been exhausted trying to keep up the group’s sweeping upturn. So we always had to consider the general public’s style of music when producing albums. In this album, however, we didn’t set a specific goal and talked about our own stories; the stories that could easily gain people’s empathy. The only method we had to talk about our situation was music and we wrote these tracks as if we were writing a journal. What you just said was shown in the album’s tracks. While you carefully planned everything in performances and albums in the past, now it has change to a freestyle music. G-Dragon: I think you call that a ‘development.’ Calculating every detail to make and sing a song doesn’t work anymore. I used to like strong and bold music but now I prefer songs that are calm and you don’t get fed up with. Slow or mid-tempo music can make people easily get tired of listening to them. But you guys didn’t have that problem with various vocal sounds. G-Dragon: Even if we don’t set that specific goal and practice, the members’ voice tones are so different that it makes enough differences with a voice only. Plus, everyone’s interpretation of a song varies, so it gives off different atmospheres. G-Dragon: I spend every single day with them and I’d be fool not to know how to control them. (laugh) All members have unconsciously matured when working on the album and that was shown in the tracks. When preparing our previous albums, we held meetings from time to time while concurrently pursuing solo activities. This time, we all took a break from our job and worked together. The five members’ energy was well reflected in the album. I myself reminded myself of the moment when we first began as a group, and directed the members’ vocal training one by one. Seungri, for example, used nasal tones and breathing sounds when singing “FANTASTIC BABY” that he didn’t do a lot before. I personally like this part a lot. There were moments when I felt that other members’ have found new ways to use their voice in singing. G-Dragon: All the members wanted a detailed directing during the recording. Sometimes, I had to write separate notes to tell them to pronounce specific words in certain ways. Adding to those detailed directing, the guys’ interpretation of each song has really established unique tones and styles. I’m not trying to denigrate anyone, but people began to get tired of idol-style tunes ever since a majority of artists roll out patterned music. So that made you decide to be different? G-Dragon: I had to be unconventional and twist the songs to be unique. I wanted Big Bang to get credits from older K-pop groups and artists. You worked with mixed thoughts in your mind. But I reckon that you’ve become more true to your instinct. G-Dragon: After producing so many albums, I realized that how much effort you put in your work doesn’t guarantee its result. In “Heartbreaker,” everything about my voice and singing techniques were planned and when I try to sing the song in a karaoke, I can’t sing the same. Since this album, I began pursuing something more natural and that led me to put the first file of recordings to our final record. The members trusted me making those decisions and practiced a lot to show their genuine feelings. G-Dragon: We draw overall pictures of music videos when making music. For example, the first line of “FANTASTIC BABY” reminded me of an electricity buzzing. I write rest of the lyrics based on that feeling, imagine the music video’s concept and our stage outfits. I go on thinking about arranging the members’ voices too. So basically, the most important task for me after doing some work with Teddy is to organize my ideas. I used to receive songs first and write lyrics following the melody but I decided not to do that anymore. These two elements harmonize well when I associate the lyrics and melody at the same time. If you use all your inspiration at once like that, how do you do to fill up the inspirations and energy again? G-Dragon: I just look at what’s happening around the world. From watching variety shows to foreign TV series, and to news, I get inspired by what’s happening in the society, what people wear these days and how they live. My agency give us a lot of support in broadening our perspectives and we were able to meet big name celebrities recently: Meeting and talking with our favorite artists — Quincy Jones, Diplo, Boysnoize, Under Dogs and William — made me think to become successful like them. Things like this have led me to become a better person. In other words, does that mean you started making music that is targeted towards the world? G-Dragon: This might sound funny but the reactions we’ve been receiving from overseas fans recently were pretty much expected. Studying pop music that me and Teddy grew up listening, we’ve been comparing our tunes with other pop songs. And what we have now is just the result of everything we had planned. We’re confident about YG’s music because this was carefully planned. We’ve been planning for this moment for so long so I’m not overwhelmingly surprised by it. Then the direction of your future music style and goal will likely change. What are your plans as a musician? G-Dragon: People might tell me that I’m arrogant but naming me a ‘hit composer’ doesn’t mean anything to me. What I’m doing right now is just a practice of my next album. What’s more crucial than rankings and popularity is making music that will consistently be loved even when after decades. I truly hope that our music could inspire other talented musicians and contribute to the development of K-pop music. That’s my vision and goal. So are you expecting a certain era or a world to arrive than to achieve personal goals? G-Dragon: I don’t have entrepreneurial skills like our C.E.O Yang Hyun-suk does so it’s probably not a good idea for me to jump into the entertainment business as an entrepreneur. What I’ve discussing a lot with 2NE1’s CL lately is ideas about culture and space. I hope there’s a place for many talented people to gather and inspire each other, even if they’re not celebrities. By creating a space like that, I wish I could support their skills and talents. I was lucky to have a chance to grow while interacting with my favorite artists. I wanted to provide that chance to them too, so I’m working on that right now. Following your dreams like that, doing Big Bang activities and preparing solo albums all at once sounds tough. G-Dragon: Of course, I always lack time but I try to do things when I can. I’m not sure if I’ll still have the ability to produce cutting-edge music when I’m old. My motto is to keep the youthfulness I have right now even if I get old. In order to do that, I need to keep my characteristic. Aside from Big Bang activities, my life is centered around the word ‘Gangster’ and without it, my characteristic is incomplete. Whether it’s fashion, lyrics or a singing style, it needs to have the feeling of a gangster to show my true color. It’s like having a rock stars’ attitude. I’ve titled my next solo album’s concept a ‘Melancholy,’ but I think I’ll still have that gangster’s aura in the album, like I’ve always done. 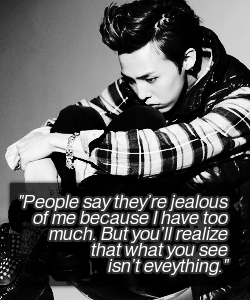 G-Dragon: I know so much, and I’m also aware that people know that. (laugh) So while trying to avoid being cliche and calculative, it’s inevitable for me to show who I really am. Then what were you like six years ago, when you didn’t know the things you do now? G-Dragon: I didn’t know anything back then. Whether it’s a sadness or happiness I see, I accepted everything. I was being simple-minded and naive but because I think too much now, I know how to connect with people through music. That’s the biggest strength I have at the age of 24. Then for 24-year-old G-Dragon, what does group Big Bang mean? receiving from overseas fans recently were pretty much expected. course,) I’m not overwhelmingly surprised by it. reaction from abroad of course,’ this part, because he said so. 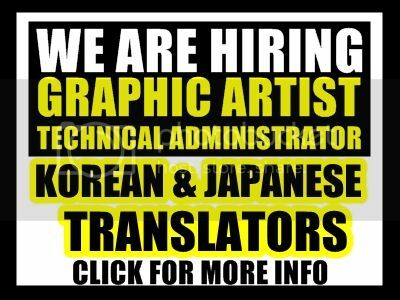 Guys, Korean-English translation can be misunderstood. You know GD has always talked to us through his music. If something like this happens again, please wait until someone will explain. Because I’m sure that GD won’t let you down. So.. let’s just BELIEVE/SUPPORT him.